There has been little interest from users and an expert says measure too little if content is not in local languages. 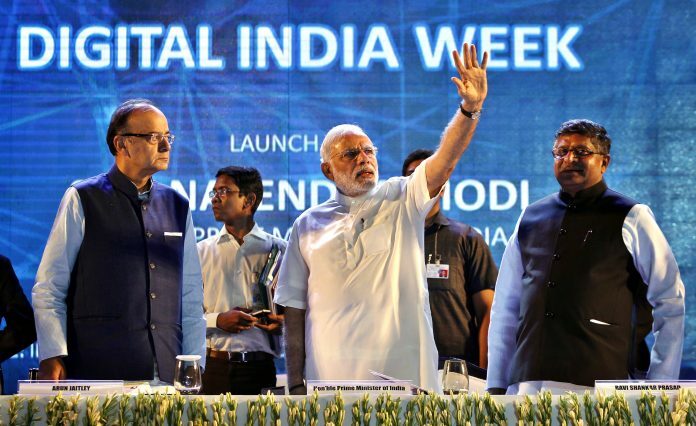 New Delhi: It was a big idea of the Modi government to help take the Internet beyond India’s English speakers and realise the goal of ‘Digital India’. But four years after it was launched in August 2014 to promote Indianised website domain names and make the Internet more inclusive, .bharat – pronounced dot-bharat – is struggling to take off. The initiative offers domain names in Indic scripts such as Devanagari, Bengali, Telugu, Gujarati, Arabic, Tamil, Gurumukhi (Punjabi) and supports 15 languages such as Hindi, Bodo (Boro), Dogri, Konkani, Maithili, Marathi, Nepali, Bengali, Gujarati and Tamil. The government had hoped the measure would help users exploit the internet in their own languages. But as of September this year, sources said that of the around 27,000 registered .bharat domain names, only an estimated 10,000 are active. In a smaller timeframe, between December 2014 and September 2017, the number of .in domains has risen from to more than 22 lakh from 16.6 lakh – an increase of more than 5 lakh, according to data with Nixi, the National Internet Exchange of India. The .in and .bharat domain names are India’s country code top-level domains. Both the .bharat and .in domain registries are managed by Nixi, entrusted by the government to do so. In turn, Nixi does not directly carry out registrations but accredits registrars to register the .in and .bharat domain names. Representatives at Nixi, and the Secretary, (Electronics & Information Technology), at the Ministry of Electronics and Information Technology (MEITY), did not respond to emails to discuss aspects of the .bharat domain. In an effort to boost interest in the .bharat domain, the government had in 2016 announced that it would be offered free and complimentary for those buying the .in domain. That too, however, appears to have done little to promote the Indianised domain name. Experts said that the .bharat campaign does little to promote internet penetration as it ensures that only the website address or email address is in a local language. In effect, while the address bar of a website is Indianised, the content need not be in local languages. “Speaking out of experience, I don’t think a domain name in Devanagari script would make much difference. In fact, I feel people would be comfortable typing a domain name in Latin script if they know the URL,” said Osama Manzar, founder and director of Digital Empowerment Foundation that works to increase access to information among marginalised communities using digital tools. “It is the content of the website that needs to be in the Devanagari script for people to utilise its value. A website with a domain name in Devanagari but with only 50 per cent of its content and navigation in Hindi would not be as helpful,” Manzar added. Manzar also said that typing in Devanagari script is as challenging as typing in the Latin script for those only versed in one script. “This is for two reasons. The first is that the keyboards are primarily designed for the Latin script, people cannot use the traditional Hindi keyboard input on a Latin script device without proficient experience in Hindi typing,” he said. The researcher said that the second problem is that for Hindi typing, users need to know the Latin spelling of the Hindi word. “For example, to type “तुम्हारा नाम क्या है” using Google Input Tools or the likes, I need to know that तुम्हारा would be displayed on the screen if I use the alphabets TUMHARA. This is a challenge,” Manzar said.